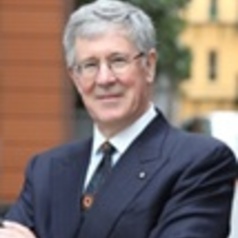 Russell Miller is an internationally recognised competition lawyer, academic and author. He is an fellow and convenor of the Centre for Strategy and Governance and a part-time member of Minter Ellison's Australasian Competition Group. He has been a non-government advisor (NGA) to the International Competition Network since the ICN was established. Russell Miller was the lead consultant on an assignment for the Pacific Island Forum Secretariat to develop a Model competition regulatory and policy framework for Forum Island Countries. He has been a member of the Australian Trade Minister's WTO Advisory Panel. He was a special guest of the Singapore Competition Commission at the Commission's launch and has run training courses for government officials from the Philippines, South Africa and the People’s Republic of China. Russell Miller is the author of leading Australian competition text books – Miller's Australian Competition & Consumer Law Annotated (ThomsonReuters 38th edition 2016) and Miller's Australian Competition Law & Policy (ThomsonReuters 3rd edition 2012) – and a contributing author to Rowley & Baker: International Mergers – the Antitrust Process (Sweet & Maxwell, London). He has been an Adjunct Professor at the Australian National University, and a Senior Fellow at the University of Melbourne, where he assisted in running the post graduate course on Economics for Competition Lawyers. He has held a number of senior positions in the International Bar Association, including Deputy Secretary General for Australia and Chairman of the International Trade in Legal Services Committee. Russell Miller was awarded an Order of Australia (AM) for his contribution to international and corporate law.